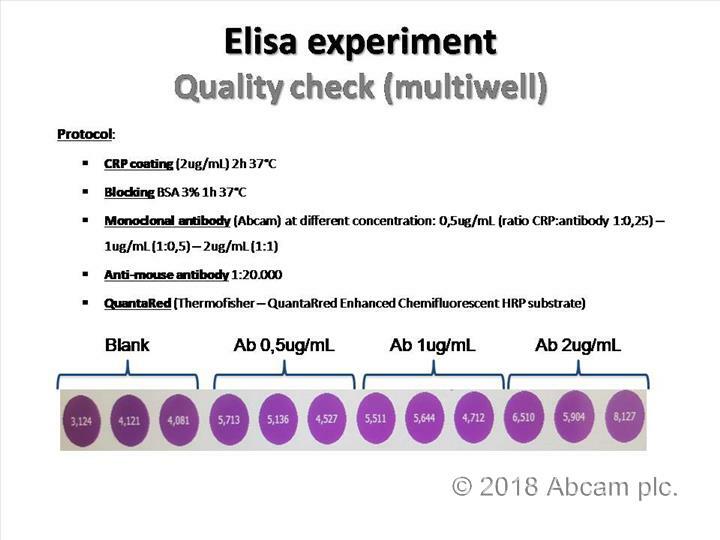 Our Abpromise guarantee covers the use of ab51784 in the following tested applications. >95% by SDS-PAGE, HPLC analysis and anion exchange FPLC. For long-term storage, it is recommended to add carrier protein (0.1% HAS or BSA).